Learn how we helped Miron Construction manufacture a new, successful email campaign. Harness industry-leading techniques to manufacture an email campaign that generates REAL RESULTS. 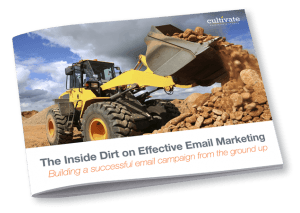 Download our FREE eGuide, The Inside Dirt on Effective Email Marketing, to explore an email marketing model that works.